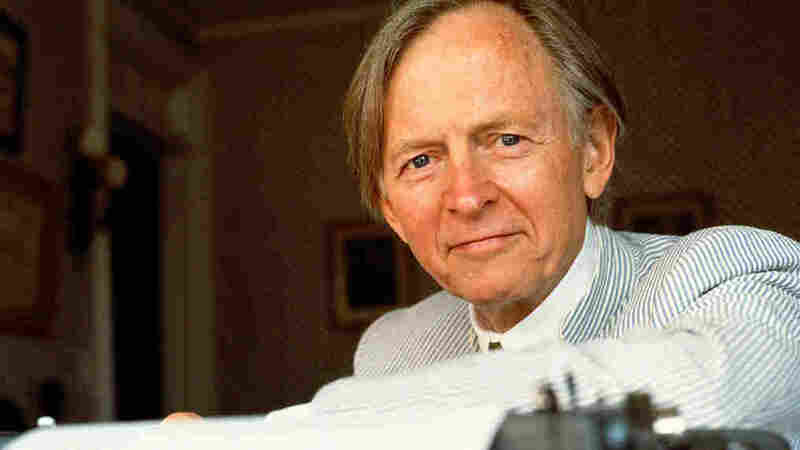 Remembering Tom Wolfe, 'The Man In The Ice-Cream Suit' NPR's Scott Simon remembers writer Tom Wolfe for his unusual sartorial choices, and his "gorgeous, curlicue sentences." 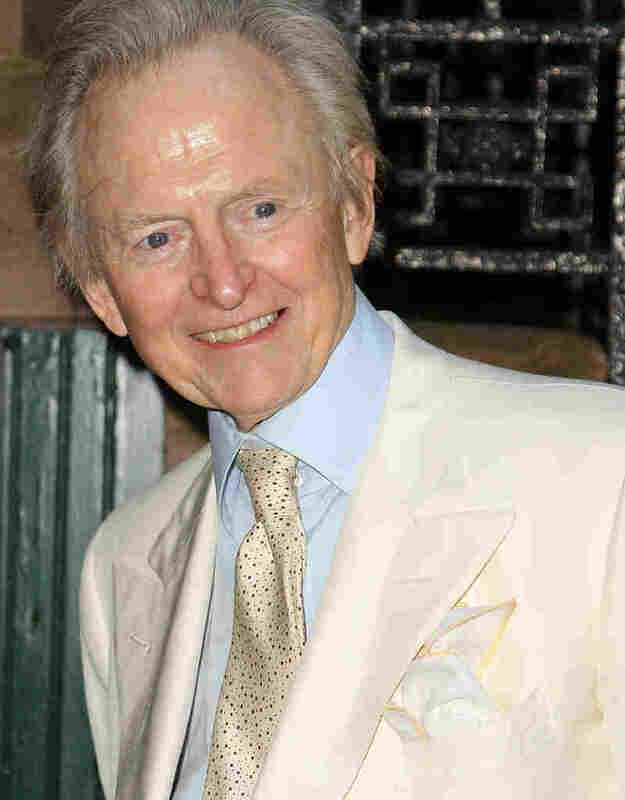 Tom Wolfe's colorful clothes stood out in New York, where many choose to wear black. Tom Wolfe did not blend in. He was a southerner in New York, a New Yorker in the world, a reporter among novelists and vice-versa, and a man who wore ice cream white suits and peach-pink ties in artistic circles where men and women often wore black with occasional splashes of gray. Tom Wolfe in 2008. He was known for his white suits. He once told me reporters shouldn't think they put someone at ease by dressing in their style. The person you interview, he said, will sniff out your gambit; or worse, decide you're a kindred spirit, so they had no need to explain themselves. But people are flattered and eager to explain themselves to an interested stranger — "a man from Mars who didn't know anything and was eager to know," as Tom Wolfe described himself. And in his articles, essays, nonfiction, and novels, from The Right Stuff to The Bonfire of the Vanities, astronauts and fighter jocks, stock car drivers, Masters of the Universe, ostentatious modern artists, and counter-culture pranksters shared their anxieties and insights with the man in the ice-cream suit who wrote such gorgeous, curlicue sentences. "Love! Attar of libido in the air! It is 8:45 A.M. Thursday morning in the IRT subway station at 50th Street and Broadway and already two kids are hung up in a kind of herringbone weave of arms and legs, which proves, one has to admit, that love is not confined to Sunday in New York. Still, the odds! All the faces come popping in clots out of the Seventh Avenue local, past the King Size Ice Cream machine, and the turnstiles start whacking away as if the world were breaking up on the reefs. Four steps past the turnstiles everybody is already backed up haunch to paunch for the climb up the ramp and the stairs to the surface, a great funnel of flesh, wool, felt, leather, rubber and steaming alumicron, with the blood squeezing through everybody's old sclerotic arteries in hopped-up spurts from too much coffee and the effort of surfacing from the subway at the rush hour. Yet there on the landing are a boy and a girl, both about eighteen, in one of those utter, My Sin, backbreaking embraces." A dazzling passage from Tom Wolfe, who died this week at the age of 88.